This first album sets the stage for a extraordinary little girl living in ordinary world. Girl who is about to dive deeper into mystical journey. It tells a story of a father and daughter. Father is struggling in the midst of the challenges of working life. He is a single parent and is dependent on Wendy. 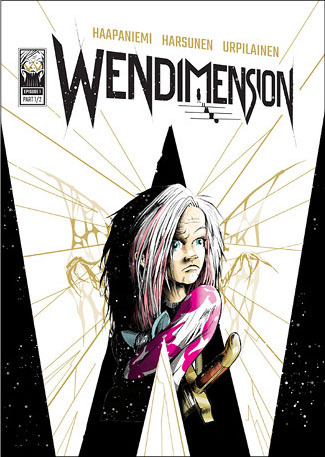 Wendy escapes distressing world to be a cartoon hero of her own dimension. This is a second half of Episode I and it introduces other characters in Wendy’s and the father’s life as a foreman, Sandra, a doctor etc. WO!Lock system will also be introduced. It is a service, which promises to save all your memories to the cloud.